Leeds United will head to Middlesbrough on Saturday likely without Patrick Bamford in the starting XI, as the 25-year-old revealed in the pre-match press conference that he is not yet fit to start. 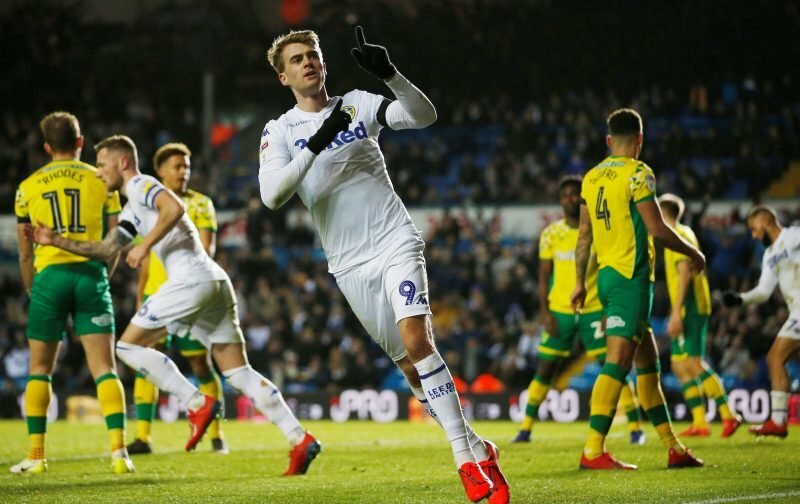 Bamford was speaking to the assembled media alongside Marcelo Bielsa, having made his long-awaited return to action in the home defeat to Norwich City on February 2. The forward made his first appearance since December 15 as a 63rd-minute substitute and netted his third goal of the season late into stoppage time to score what was Leeds’ consolation goal. However, Bamford is unlikely to record his first start of the season at the Riverside Stadium as he revealed that he is still recovering from the knee problem that brought his previous return to action to an abrupt end. “If I’m being honest, I’m not fully fit in terms of match sharpness but it was nice being back out there,” Bamford said, via the Yorkshire Evening Post. “I’m only going to get the match sharpness by playing. “I think I owe the Leeds fans three goals!” he added before his attention was turned to the prospect of returning to Middlesbrough, whom he left for Leeds in the summer.